"A 13-song live album recorded and mixed by producer Brendan Canty at a one-night stand in Washington, D.C., at the Black Cat nightclub on an undisclosed night in the year 2000. Hear the sounds of this legendary group as they holler, flange, and fuzz through a bacchanal of bestial orthodontal arrangements. 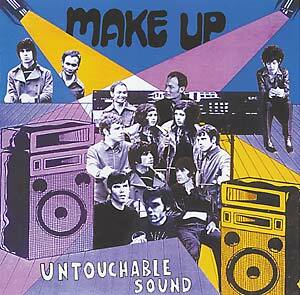 Make Up: the band who rock 'n' roll theorists have credited with inventing and presenting the brave aesthetic appropriated by an enormous proportion of 21st century musicians. These are the original famous monsters, the ace faces, the creatures who filled the clothes and the clatter with intent and stylish purpose, mania, and a sense of the surreal beyond."